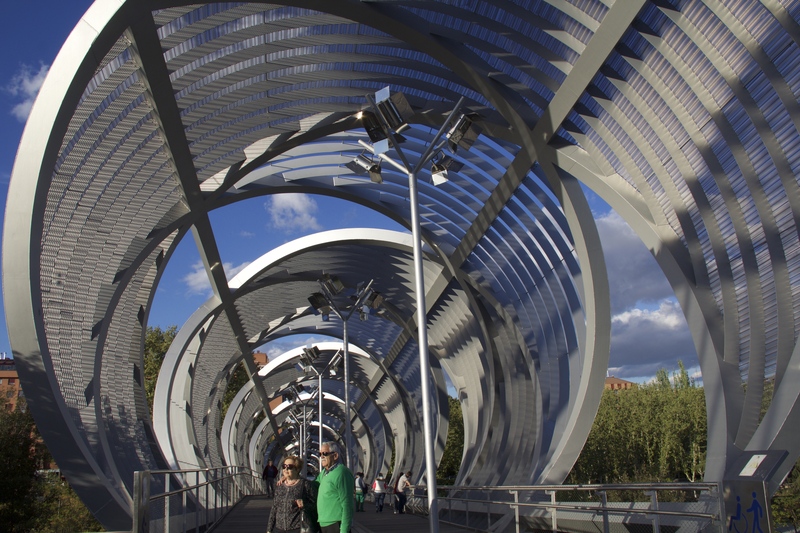 Having lived with gloomy and rainy skies for months, I decided to head to sunnier places–namely Spain. 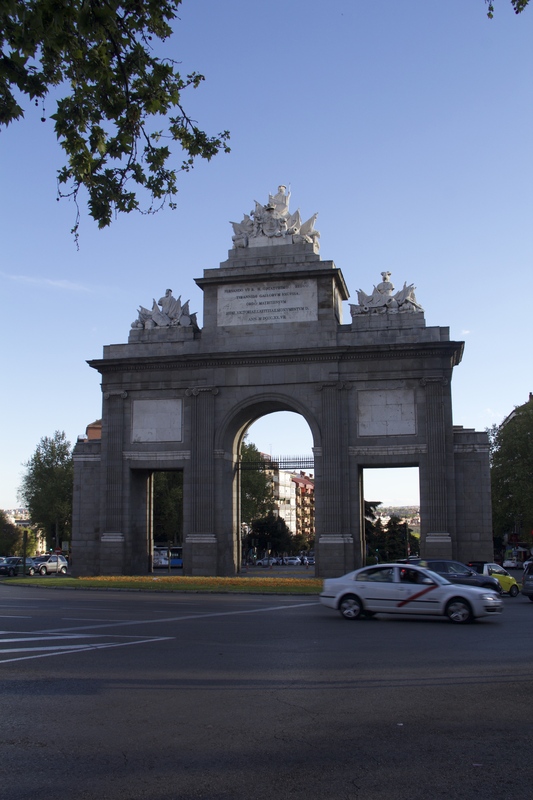 Lucky for me, I happen to know three Spanish ETAs (all of Spain’s ETAs are based in Madrid), and they agreed to let me stay with them and show me around the city when they weren’t teaching. 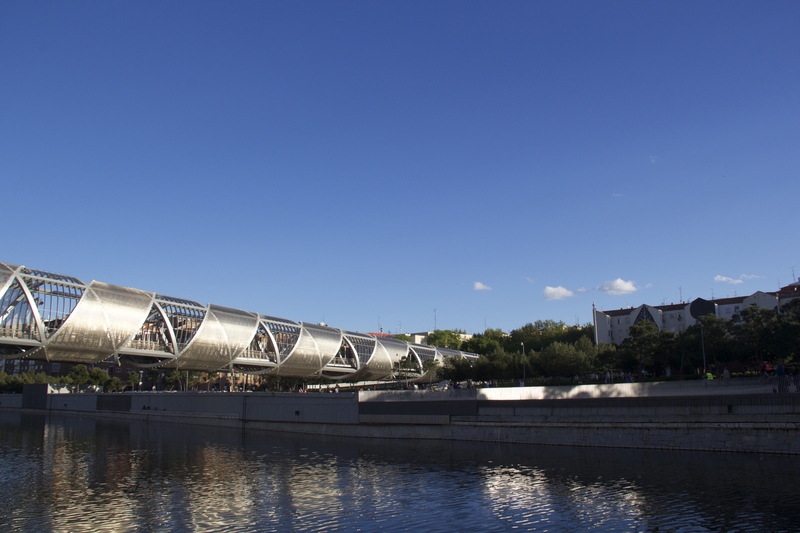 Having studied Spanish in high school, I was excited to see how well I would manage in Madrid. I rapidly realized that my comprehension and reading is still pretty good (especially considering that I haven’t used Spanish for about five years), but that my speaking ability has deteriorated considerably. Thankfully this wasn’t too much of a problem since I spent about half of my time with my near fluent ETA friends. Once I arrived, I met my friend Sara and we were off. 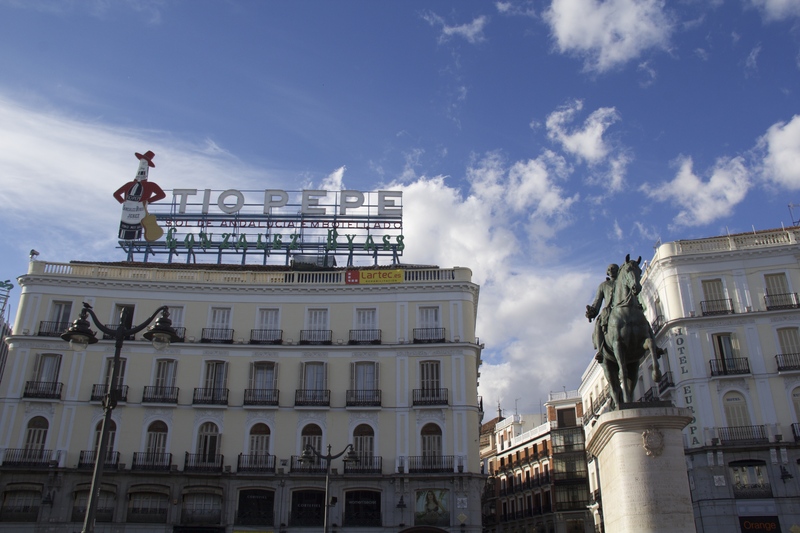 Our first stop was Puerta del Sol, one of Madrid’s most bustling plazas. 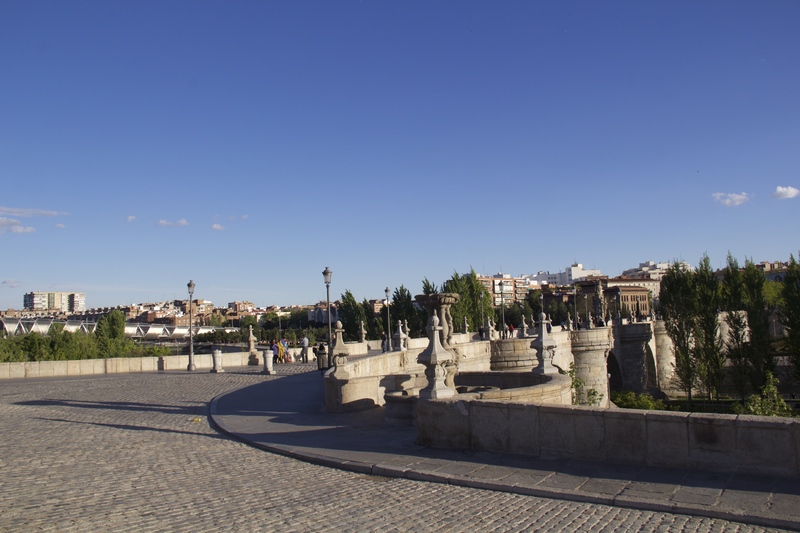 Although it’s certainly a pretty plaza, there isn’t too much of note here. 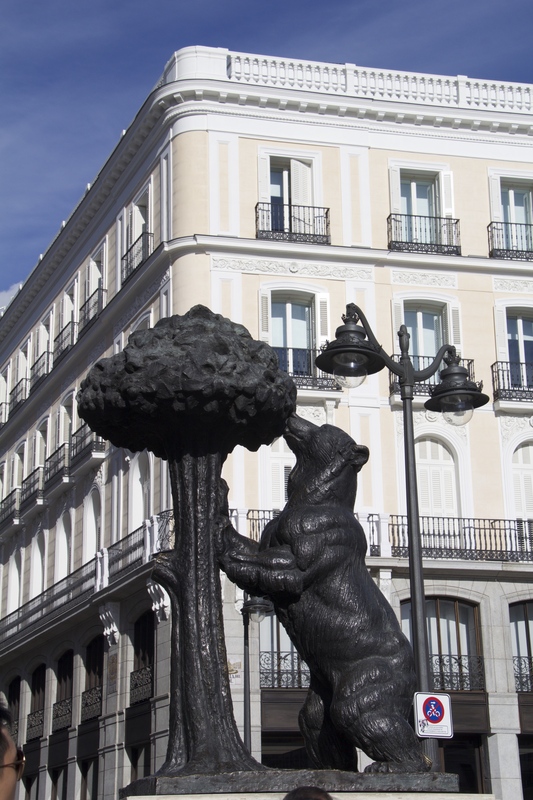 The big landmarks are a statue of King Carlos III, the zero kilometer marker, and El Oso y El Madroño (The Bear and the Strawberry Tree–the symbol of Madrid). 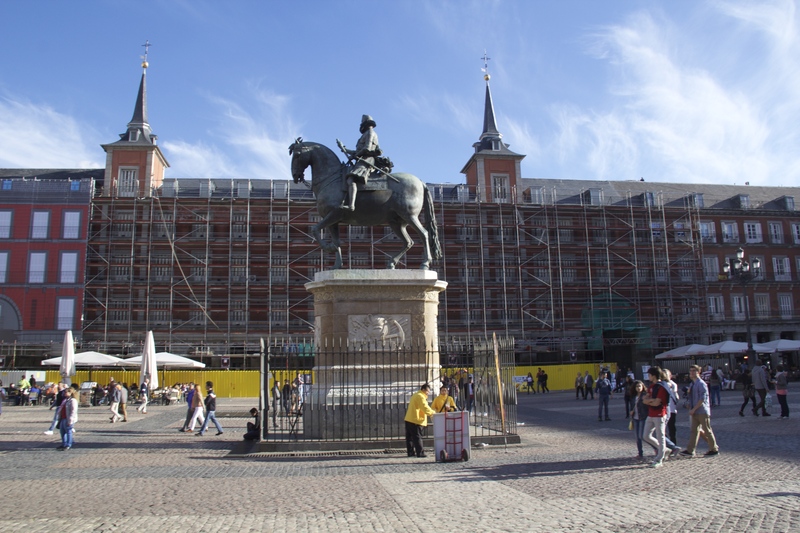 From there it was just a short walk to another plaza, Plaza Mayor. 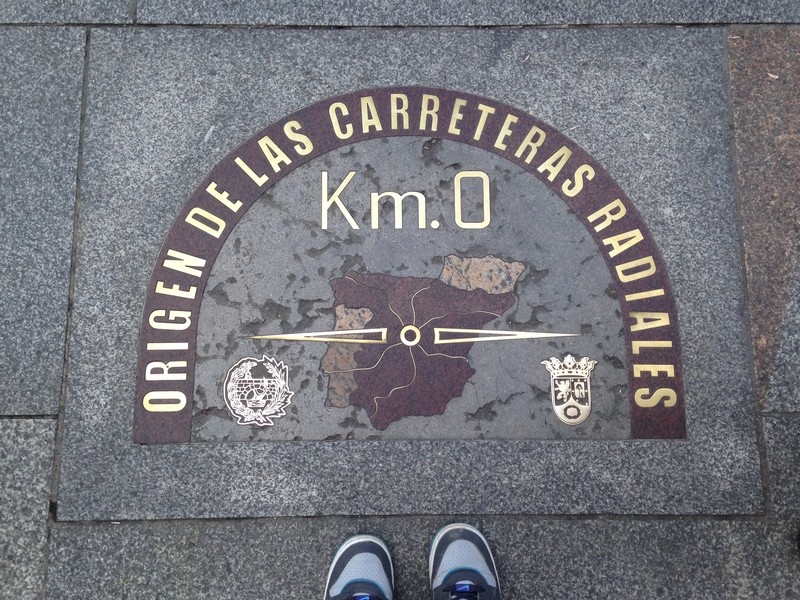 Personally I preferred Plaza Mayor to Puerta del Sol. 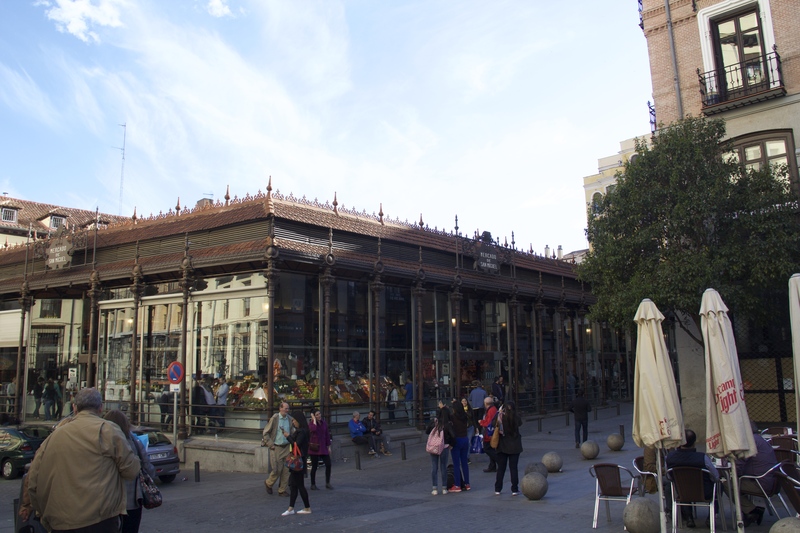 It’s a bit more closed off than Puerta del Sol and also tends to have fewer people wandering around. 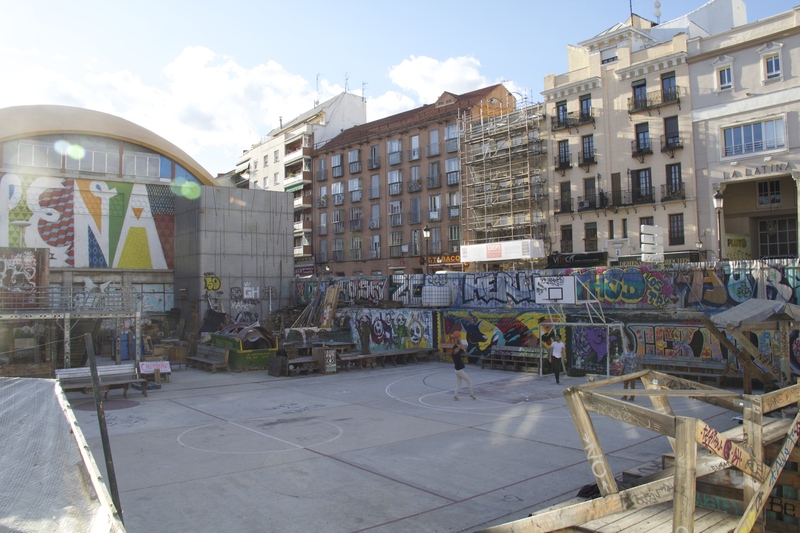 It also has a fairly colorful history that includes things like bullfights and executions. 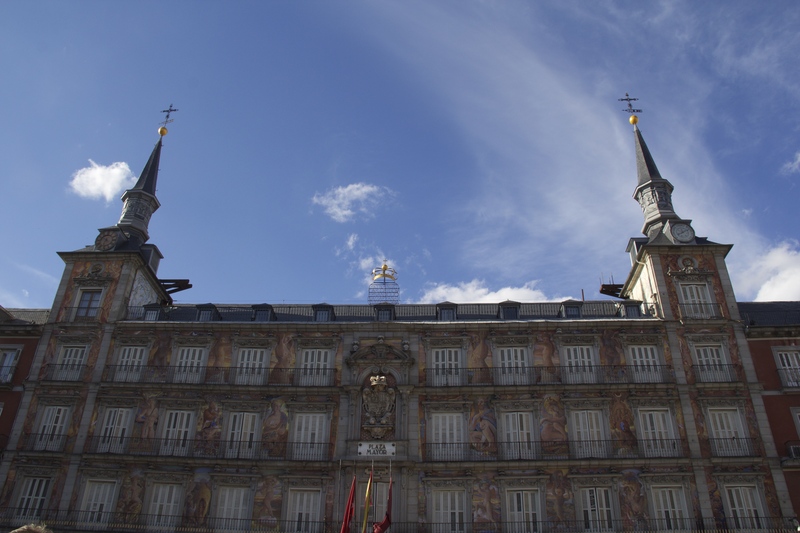 I would argue that the most notable thing in the square is not the statue of King Felipe III, but the frescos on the 17th-century Real Casa de la Panadería (Royal Bakery). While the building is quite old, the frescoes themselves are relatively young. 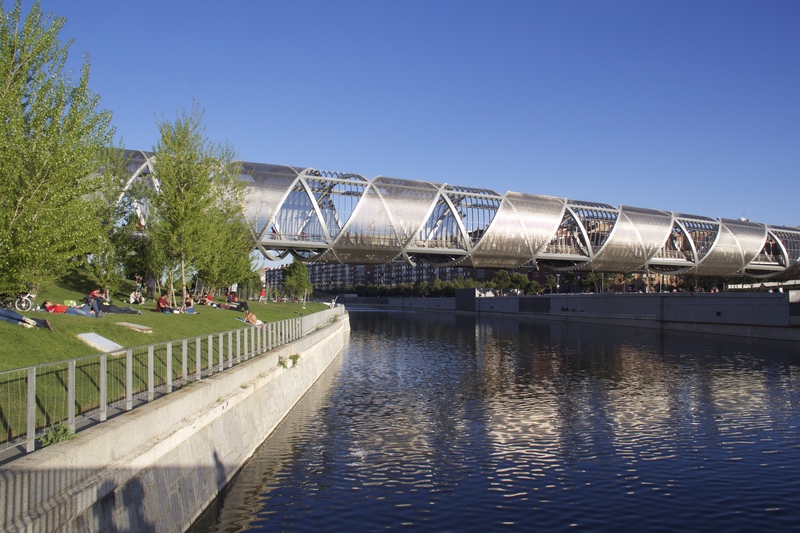 They were painted in 1992 by Carlos Franco and helped boost Madrid’s 1992 title as the European Capital of Culture. 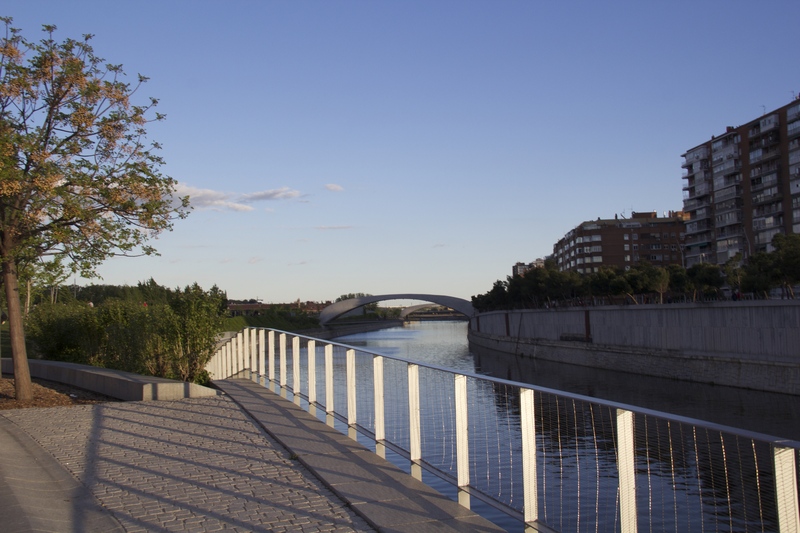 After that we stopped by the popular Mercado de San Miguel and grabbed some frozen yogurt before continuing down Calle de Toledo to the Rio Manzanares, the river that runs through Madrid. 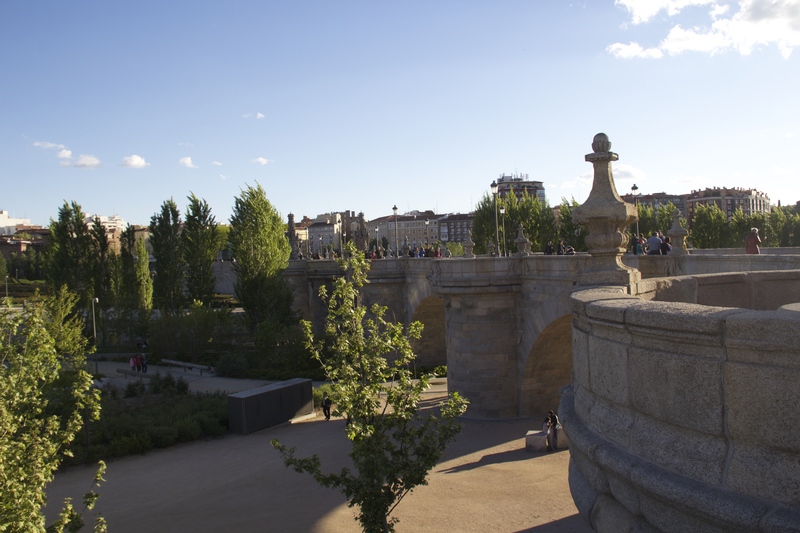 The area by the river has been made into a beautiful park, and there were plenty of people there walking, exercising, playing, and picnicking. Something that surprised me were the number of couples canoodling around the grounds–I suppose in Norway it’s generally too cold for people to really want to show signs of affection outdoors. 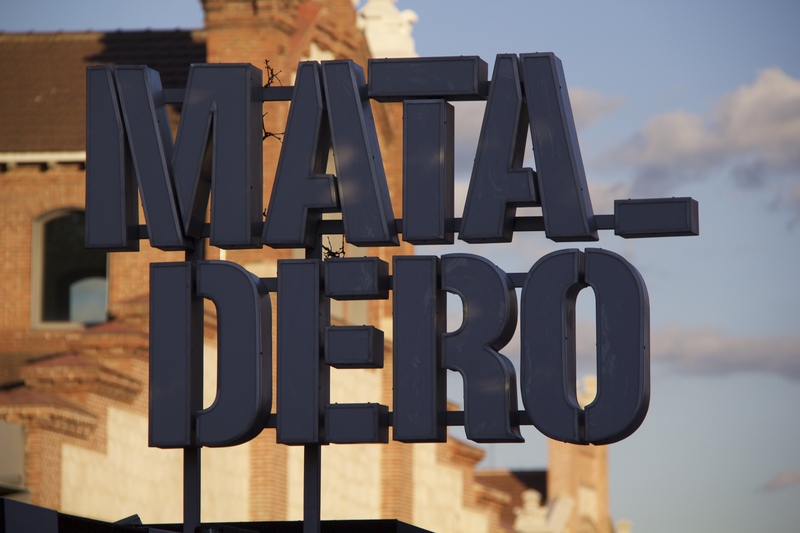 We continued walking until we hit Matadero, a slaughterhouse that has been converted into a contemporary arts center. 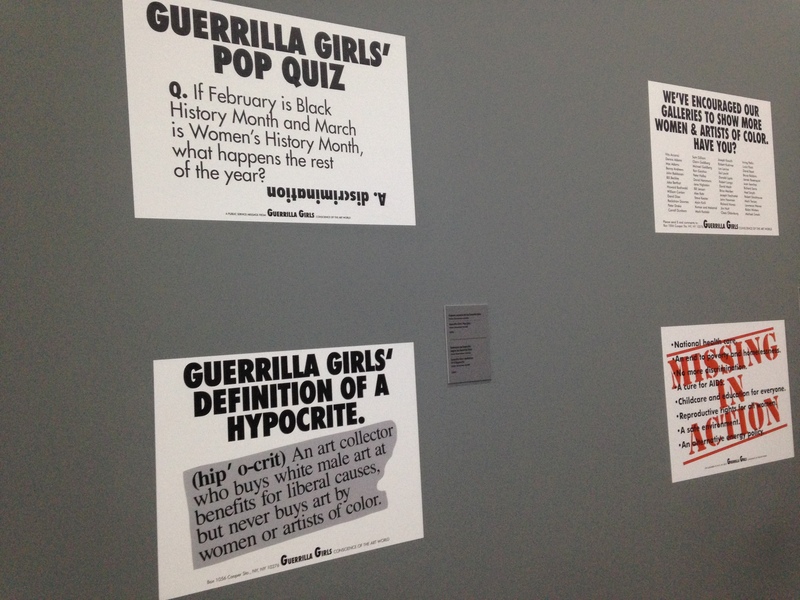 There were two big art exhibitions that we managed to see there. 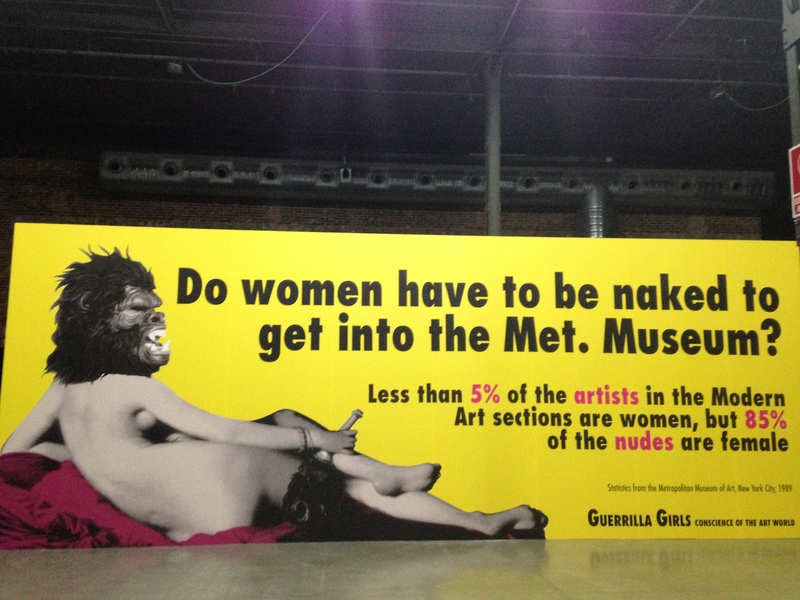 The first was one by the Guerrilla Girls, a feminist art collective started in the 1980’s that is well known for wearing gorilla masks and for using statistics to push back against women’s position in the art world. 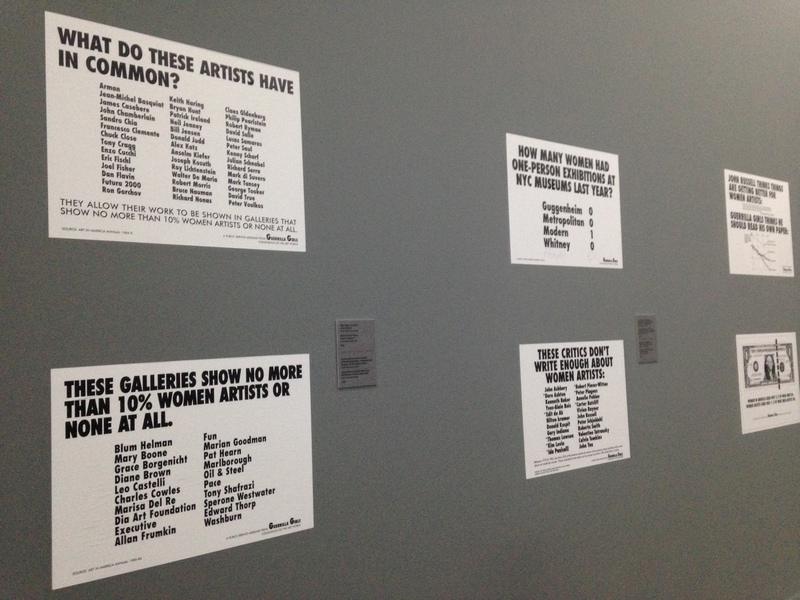 I was actually pretty shocked to read some of the statistics and to realize how few female artists are shown in the world’s major museums. 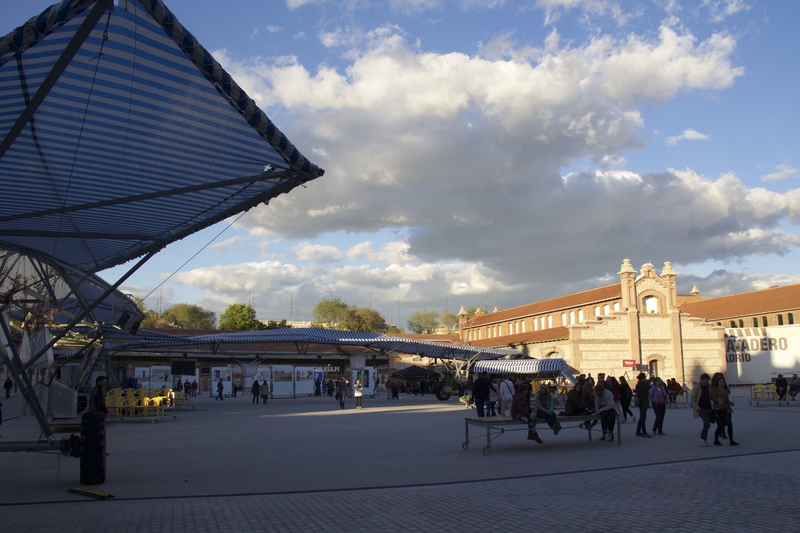 The second display was by Eugenio Ampudia. 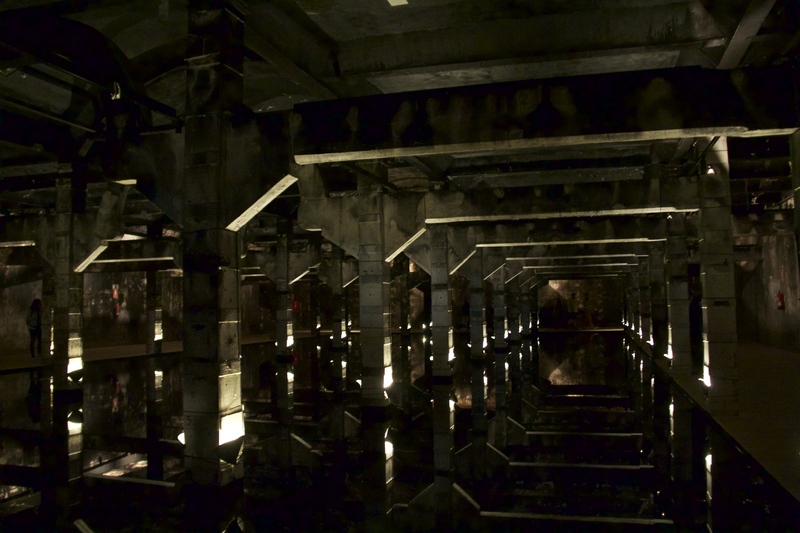 He had a great display where a shallow pool of water was built beneath a burned out construction, giving you the illusion of vast depth. When I first saw it I was convinced that there was a gaping hole in the floor. Unfortunately my picture doesn’t quite do the art justice, but it was pretty incredible to see at first glance. Another interesting thing about the piece was that you were able to call a telephone number that would trigger one of several small fountains, causing the reflection to ripple and destroy the illusion. After that we went for some lovely tapas near Sara’s place and called it a night. So beautiful 🙂 Glad for the pics!